We’re no strangers to writing articles that sound a bit like alphabet soup. As with many technical industries, web hosting comes with a slew of acronyms: VPS, PHP, SSDs, SSL, GUI, LAMP stacks, ASP, MySQL, AWS, CMS, SSH, and IMAP just seem to scratch the surface. Most are pretty straightforward to explain once you have a broad understanding of how hosting works, but I still trip up occasionally when telling someone about the various cloud computing configurations that exist and which solution is best for various project or business needs. TL; DR: What is the Difference Between IaaS, PaaS, and SaaS? Cloud services can be a very nebulous concept even before throwing in acronyms that stand for Infrastructure-as-a-Service, Platform-as-a-Service, and Software-as-a-Service. The three options describe the tasks and responsibilities of the service provider in relation to those of users. IaaS gives users automated and scalable environments with extreme flexibility and control, while PaaS provides a framework for quickly developing and deploying applications by automating infrastructure provisioning and management. Eliminating the need to install and run programs on individual devices, SaaS makes applications available through the internet. Cloud providers and customers share different responsibilities when it comes to the different cloud hosting models. The services automatically scale as demand increases, and users are billed based on the actual resources used instead of a flat monthly fee. By moving business operations and data to the cloud, organizations can bypass time-consuming traditional IT processes and enjoy immediate scalability and flexibility. At the lower end of the managed cloud services spectrum, IaaS providers deploy and manage pre-configured and virtualized hardware and enable users to spin up virtual machines or computing power without the labor-intensive server management or hardware investments. Amazon Web Services, for example, offers IaaS through the Elastic Compute Cloud, or EC2. Most IaaS packages cover the storage, networking, servers, and virtualization components, while IaaS customers are usually responsible for installing and maintaining the operating system, databases, security components, and applications. Rapidly growing in popularity, PaaS solutions appeal to developers who want to spend more time coding, testing, and deploying their applications instead of dealing with hardware-oriented tasks such as managing security patches and operating system updates. Microsoft Azure is a well-known PaaS solution that we’ll cover in our in-depth examples section, but Google Cloud Platform provides another PaaS option in App Engine. In addition to the managed infrastructure, PaaS products include APIs and tools that enable developers to hook in features such as traffic splitting, monitoring, and version control systems. SaaS providers host an application and make it available to users through the internet, usually a browser-based interface. As the most familiar category of cloud computing, users most commonly interact with SaaS applications such as Gmail, Dropbox, Salesforce, or Netflix. SaaS customers can enjoy the software without having to worry about development, maintenance, support, update, or backups. The downside, however, is that your software experience is wholly dependent on the SaaS provider, which is responsible for stability, reporting, billing, and security. With the cloud industry continuing to expand — Forrester predicts the cloud market will grow from $146 billion in 2017 to $236 billion in 2020 — providers are adding more services and computing models. The research company envisions an influx of new cloud adopters looking to save money by streamlining infrastructure operations and workplace productivity. In addition to incorporating increased security measures in their offerings, Forrester anticipated a rise in regional and industry-specific services offered by an increasingly diverse pool of cloud providers. With Office 365, Azure, and virtual machines, Microsoft offers the trifecta of cloud models. Amazon Web Services launched the first wave of cloud computing when it started in 2006, according to CIO, which attributes the company’s current revenue around $11 billion annually. Second-place cloud provider Microsoft Azure recently experienced quarterly growth more than 100% higher than the previous year. Offering more than 600 services in its Azure suite alone, Microsoft unsurprisingly covers all three cloud computing models. As with most IaaS platforms, Azure offers fast and convenient virtual machines. Users can spin up virtualized servers in seconds with the language, workload, and operating system of their choosing. Azure offers pre-configured server images to further simplify deployment, or customers can create their own custom configurations. On the PaaS side, Azure Cloud Services empowers developers to create applications in a variety of languages and frameworks without getting bogged down in infrastructure management. 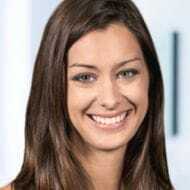 Azure improves the development experience by integrating with the Azure SDK and Visual Studio. Azure Emulator brings the platform’s functionality to your local machine for testing the application before deploying to the cloud. Once there, Cloud Services handles automatic operating system and application patching, as well as integrated health, monitoring, and load-balancing tools. While some Azure components might stray outside of PaaS and IaaS designations and into SaaS, Microsoft’s clearer example of a SaaS offering is Office 365, which offers online versions of programs, including Word, Excel, PowerPoint, OneDrive, Outlook, and SharePoint. Subscription plans are customized for home, business, and enterprise users, and the applications are available through web browsers and mobile apps. New York-based cloud provider Apprenda compares cloud computing platforms to the power grid — computer users don’t need to be electricians or electrical engineers to use the service. The WebSpecia blog explains IaaS, PaaS, and SaaS through a transportation analogy: IaaS is like leasing a car, while PaaS equates to getting a cab, and SaaS means hopping on a bus or subway. 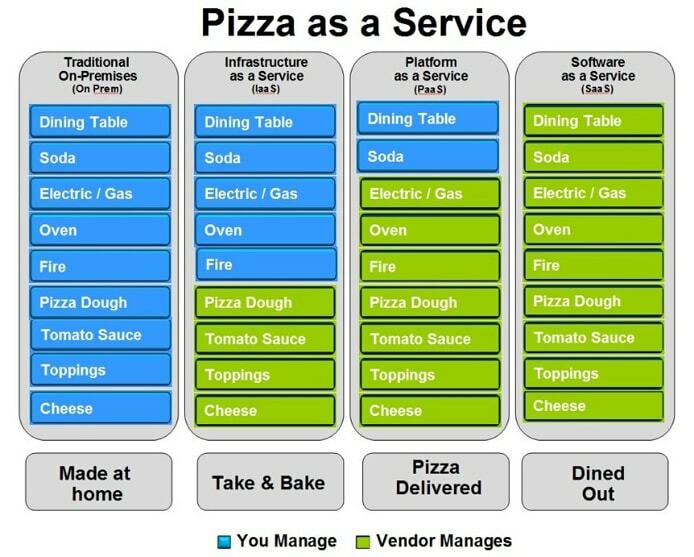 Entertaining comparisons abound to explain the differences between IaaS, PaaS, and SaaS. Whichever metaphor you use to describe cloud computing models, hopefully this guide and our examples have clarified the differences among the on-demand services. Once you’ve mastered the three main configurations, you can start exploring the multitude of other options, ranging from relevant to ridiculous.